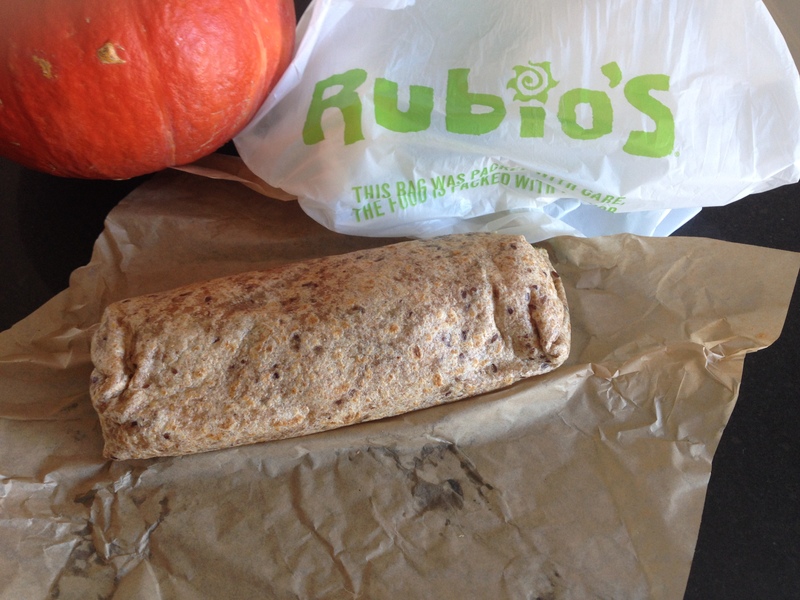 Picked up a veggie burrito from Rubio’s after spin. It’s supposed to be 770 calories. I think there’s some cheese in it. I’ll ask them to leave it out next time. Next Post → Starch. It’s What’s For Dinner.